David Nealy has experience in a wide range of commercial matters, including financial restructuring, corporate mergers and acquisitions, and international tax transactions. Mr. Nealy has advised debtors and creditors in Chapter 11, and Chapter 15 bankruptcy proceedings. He has litigated high-stake commercial disputes within bankruptcy. Additionally, he has advised US technology companies in respect to subpart F income tax matters, inversions, and double tax treaty matters. 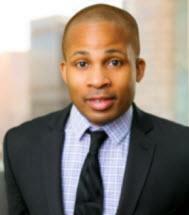 Before joining LimNexus, Mr. Nealy worked at White & Case LLP in Los Angeles. He also was a seconded attorney at ConocoPhillips in Houston, Texas. Mr. Nealy is a graduate of University of Chicago with a J.D. and M.B.A, where he served on the Chicago Journal of International Law, and a graduate of Yale University, with a B.S. in Economics and Electronic Engineering with distinction. Mr. Nealy is based in our Los Angeles office. Represented a hospital in a Chapter 11 proceeding through a consensual reorganization. Represented one of the nation’s largest event planners through a Chapter 11 liquidation and sale. Defended a creditor against a $700 million claim in an adversary Chapter 11 proceeding. Represented an ad hoc creditor’s committee in connection with a $1.2 billion claim. Represented digital technology companies with respect to global reorganization and tax planning. Represented a multibillion dollar energy utility in Chapter 11 proceedings. Represented a major French bank in connection with a global investigation concerning allegations of manipulation of Libor and Euribor. Assessed VAT and income tax exposure for a global telecommunications provider.